Dr. Arun Singh graduated from the Rutgers New Jersey and completed his residency program at the Beth Israel Deaconess Medical Center. 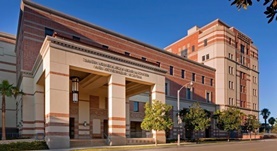 Then, he also did a fellowship at the UCLA Medical Center. He is specialized in Medical Oncology and board certified in Oncology. 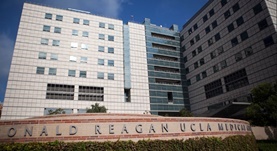 Dr. Singh has been in practice for more than 11 years and is affiliated with the Ronald Reagan UCLA Medical Center and UCLA Medical Center, Santa Monica. During his career, he has also contributed to several research publications. Dr. Arun Singh has contributed to 3 publications. Munhoz, R. R.,D'Angelo, S. P.,Gounder, M. M.,Keohan, M. L.,Chi, P.,Carvajal, R. D.,Singer, S.,Crago, A. M.,Landa, J.,Healey, J. H.,Qin, L. X.,Hameed, M.,Ezeoke, M. O.,...; Oncologist. 2015 Oct 10. Nucleoside salvage pathway kinases regulate hematopoiesis by linking nucleotide metabolism with replication stress. Austin, W. R., Armijo, A. L., Campbell, D. O., Singh, A. S., Hsieh, T., Nathanson, D., Herschman, H. R., Phelps, M. E., Witte, O. N., Czernin, J., Radu, C. G.; J Exp Med. 2012 Nov 19. Evolution of gene auto-regulation in the presence of noise. Singh, A.,Hespanha, J. P.; IET Syst Biol. 2010 Oct 30.